MENEMEN DISTRICT, Turkey — For generations, Turks have been proud of their army. So sacred is the bond between the nation and its 700,000 plus-member armed forces, the second largest in NATO after the U.S., that new recruits in the military are welcomed into the “prophet’s home” — another way Turkish people like to refer to the army barracks. A soldier is also his parents’ “kınalı kuzu,” or hennaed lamb in Turkish, an expression of affection indicating the innocence of the recruit. Many years after they complete the compulsory military service, most Turkish men are still in contact with their brothers in arms and talk fondly about their days in the military. Yet with the failed coup by a faction of the army on the evening of July 15, this reciprocal trust has been damaged — perhaps irreparably. From my house in Istanbul, I have a distant view of both the Bosphorus and Fatih Sultan Mehmet bridges that connect Europe and Asia. I also have a clear view of Kuleli Military Academy, the prestigious high school attended by young cadets. As events were unfolding at 10 p.m. last Friday, I watched the TV in horror, as the blockade on the Bosphorus bridge, which many people, myself included, mistook for a precaution against another terrorist attack like the one on Istanbul Atatürk Airportlast month, began. At around midnight, just as the coup plotters’ communiqué was being read out on TRT, or national Turkish Radio and TV channel, I heard the loud noise of what sounded like an F-16 flying so low over the bridge that I felt the pilot would hit it kamikaze-style. The sound of fighter jets, explosions and gunfire coming from the bridge mixed with prayer calls from mosque loudspeakers. People flooded the streets following an order by President Erdoğan, speaking through FaceTime to his supporters. It was ironic that a president who hates social media so much was eventually saved by it. As dawn broke over Bosphorus bridge, the scene of terrified Turkish soldiers surrendering was remarkable for an institution whose motto is “Effective, Deterring, Respected.” I felt betrayed by my own country’s army attempting to revolt in such an undemocratic way. As details of the culprits started emerging, even my friends in the army that I communicated with could not believe the extent to which FETÖ, the elusive cleric Fethullah Gülen‘s underground movement believed by some to be behind the coup attempt, had apparently infiltrated into their ranks. At the same time, those friends who protested so fiercely years ago when Turkish military were reportedly detained by the U.S., were shocked to see their armed forces humiliated as the police reportedly paraded alleged coup plotters on TV. All of my pro-democracy friends felt between a rock and a hard place, saying they wanted neither the coup nor the autocracy they see their beloved country being slowly drawn into, all in the name of the rule of majority who don’t think, feel or dress the same way. Some even joked that the so-called Islamic State may decide to withdraw from Turkey, thinking it has nothing more to contribute after seeing how easily the Turkish people can get violent and grab one another’s throat at the first spark. 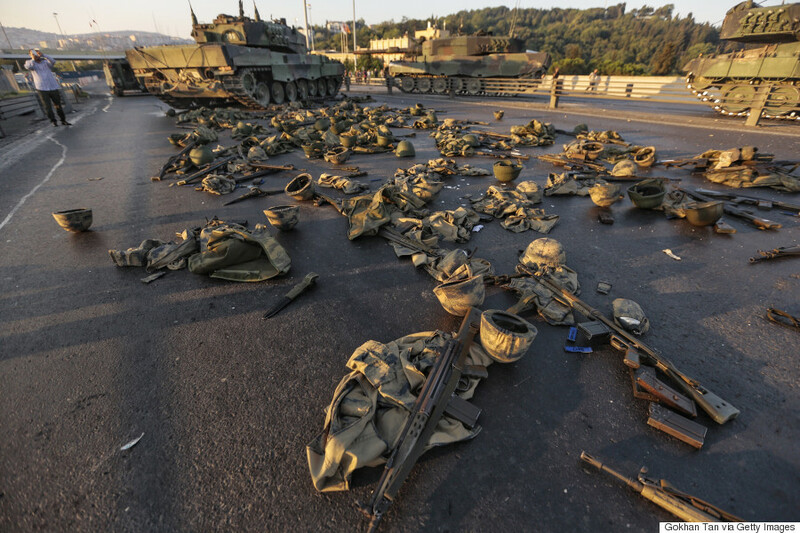 There are now thousands detained in the wake of the failed coup, among them more than 2,800 military personnel, who would likely have become the next generals in the armed forces in the next two decades. 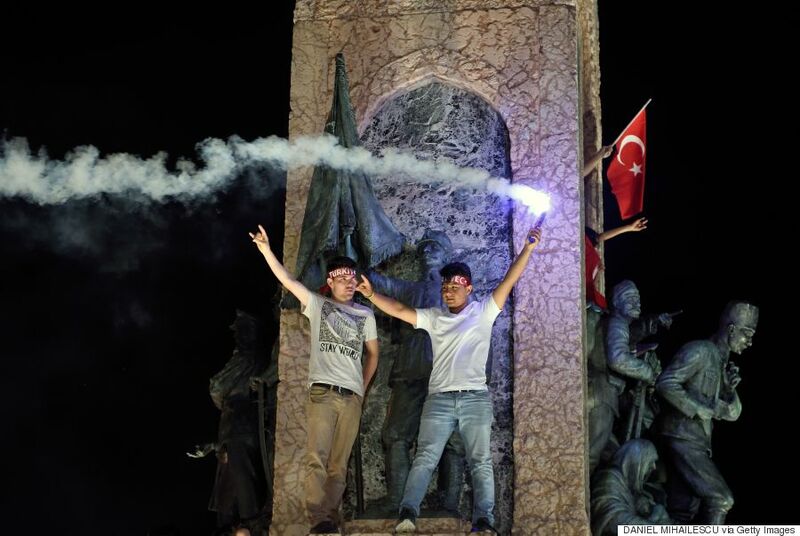 People in Turkey now fear the inquiry will turn into a witch hunt. Even though President Erdoğan used social media effectively during those crucial few hours to mobilize masses loyal to him, there were unconfirmed warnings circulating on digital platforms in the following days, of police stopping people randomly on the bridges, at subway stations and such, to check their WhatsApp communication. People started frantically deleting even the most innocent chat with their friends, or leaving the chat altogether for fear of detention. Less than 300 miles away from the hustle and bustle of Istanbul, where many of the main events of the recent coup attempt took place, is Menemen, a small town near İzmir, Turkey’s third largest city in the Aegean region. The town itself is unassuming, yet its history and religious and ethnic makeup provide a unique perspective on political events in Turkey. Menemen has grown from migration in the last decades, and is populated by a variety of ethnicities. Incidentally, Menemen is also about a half-hour drive from Izmir, where Fethullah Gülen reportedly served as an imam decades ago. I visited Menemen several days after the coup and found no trace of civil unrest. 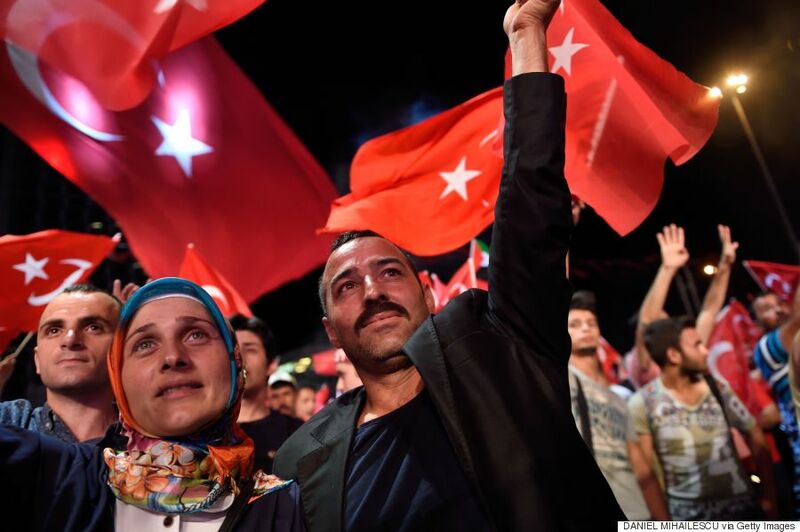 I spoke with people with very different political views, and asked them where they see Turkey headed towards politically and religiously post-coup. Nearly all were against the coup and opposed the violence between civilians and soldiers erupting on the streets on Friday night. Metin Öztürk, a 40-year-old ethnic Kurd from Muş in eastern Anatolia, owns a pottery workshop in a low-income neighborhood of Menemen, and he told me the coup took him by surprise. “It should never have happened in a country where there is democracy,” he said. Öztürk, who in the ‘90s used to be a follower of Gülen, now sympathizes with the Justice and Development Party, or AKP, government despite its shortcomings. “Before, a small minority was prosperous in Turkey. Now we are more well-off,” he said of the increasing standard of living and direct economic support that bind many AKP supporters to the party. Mustafa Kemal Yılmaz, a 36-year-old father of two who lived in Germany briefly before moving to Menemen, sports a long beard, is originally from the deeply religious Konya region and shares the same first and middle name with the founder of Turkish Republic, Mustafa Kemal Atatürk. Yet, he couldn’t be more different from him in his worldview. A staunch supporter of AKP, Yılmaz has no mercy for coup plotters and wants capital punishment to be brought back. Fifty-one-year-old Taner Yılmaz, Mustafa Kemal’s uncle, finds himself at the opposite end of the political spectrum from his nephew. A secular ceramics artist with a ponytail and the looks of a Grateful Dead band member, he is among the 51 percentwho didn’t vote for AKP in the last election. Longing for the old Turkey of Kemal Atatürk, he is sad that people like him are reduced to mere spectators in the latest power battle between Fethullah Gülen and President Erdoğan, which became a source of hope for Taner to see Erdoğan go. “I’m not pro-coup,” he said. “But whoever falls in the sea grabs the neck of the snake,” he added, recalling an old Turkish proverb. “It was a dangerous act for the government to urge the masses to go out and face armed police and soldiers while they stayed behind in the safety of their compounds.” After the coup, he started to delete zealous AKP-supporter friends on Facebook. As for the future of the army post-coup, he thinks “a new army of Erdoğan” will be created.